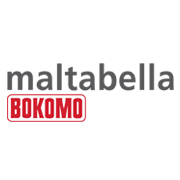 Bokomo Weet-Bix is South Africa’s no 1 cereal. Each toasted whole-wheat biscuit is high in fibre, low in fat and enriched with vitamins and iron. It first appeared on the South Africa cereal market more than 75 years ago. The Ceres Valley produces some of the highest quality fruit in the country. 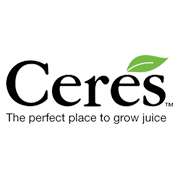 All Ceres juice contains fruit purely from this region ensuring a product of the highest quality. This variant is also available in a range that contains added fruit cells. There are eight flavours in this selection. It is made of 100% fruit and contains no added sugar, no preservatives and no colourants. Each variant is rich in Vitamin C and minerals. The pack is designed to be easy to hold with an easy one-step screw cap opening mechanism. Cartons are predominantly made from paperboard, a recyclable renewable resource. A pioneer in the juice category, Liqui Fruit entered the market as the first ever long shelf life fruit juice 40 years ago. Made with the highest quality local and exotic fruits, it offers 100% pure juice goodness on the go or at home. Liqui-Fruit contains no added sugar, preservatives or colourants. Flavours range from citrus fruits all the way through to smooth berry blends. Crossbow is our range of beans, peas and lentils. Crossbow Beans varieties include Red Speckled Beans, Kidney Beans, Red Kidney Beans, Samp and Beans, Small White Beans, Red and Black Lentils, Yellow and Green Split Peas, Soup Mix and Popcorn. Our nutritional legumes provide a high quality pre-biotic food source, helping to detoxify the body, reduce cholesterol, aid digestion and prevent colon cancer. Recognised by consumers for their health benefits, Crossbow Beans and Legumes are perfectly positioned for growth. Crossbow is strongly represented in KwaZulu Natal and is expanding into the Gauteng market. The Crossbow range consists of twelve variants. IMBO beans, peas and lentils are a rich source of vegetarian protein and high in dietary fibre. As a low GI food ( GI value 0 to 55 ), they provide a slower release of energy into the system. The IMBO range is also low in total fat and is cholesterol free which, according to studies, may reduce the risk of heart disease. IMBO carries the endorsement of both the Heart and Glycemic Index Foundations. 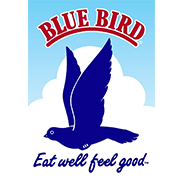 Blue Bird Maize Meal is of the highest quality and has been in the market for over thirty years. It is available as a special maize meal or super fine maize meal. Blue Bird is most popular in the Limpopo region of South Africa, and is also exported to countries like, Angola, the DRC, Mozambique, Zimbabwe and Zambia. Requiring no cooking, Champion Instant Maize Porridge is quick and easy to prepare. Nutritional Champion Instant Maize Porridge provides a quality breakfast solution and is highly affordable in comparison to other cereals. Champion Instant Porridge’s positioning, “Breakfast in a minute, Mom”, speaks directly to moms looking for a porridge that will give their children the best nutrition possible. The Crème Soda and Bubble gum flavours are unique to the instant maize porridge category. These give children an opportunity to enjoy flavours that were only available in high-end cereals in the past. 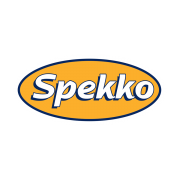 The Select Rice brand has been a part of Sasko Grain since 1997, undergoing a successful brand identity change in this time. Select Rice is a regional brand with strongholds in the Eastern Cape, Western Cape, Free State and KwaZulu Natal. Pockets can be found in other regions such as Gauteng, and Northern- and North West Provinces. Select Rice strongly competes on a value-for-money platform, enjoying a strong and loyal consumer following. Pasta Grande is a range of delicious, easy Italian-style pastas on par with the best pastas from around the world. 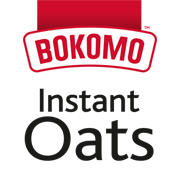 Bokomo Corn Flakes is made in the traditional way, using only the finest sun-ripened maize. Each serving is high in vitamins and source of minerals, cholesterol free and low in total fat. Nature’s Source muesli contains the finest rolled oats, nuts, fruit pieces and seeds. This cereal is completely natural, offering true goodness and vitality. 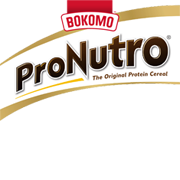 ProNutro is one of the oldest protein cereals in South Africa. It contains 18 vitamins and 5 minerals, providing truly balanced nutrition for the whole family. It is available in a variety of flavours. A Toddlers range is also available. 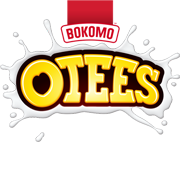 OTEES is one of our popular offerings for children. The product is made with real oats, wholegrains and added vitamins and minerals. KreemyMeel is our traditional porridge that is smooth, creamy and easy to make. This hot mealie meal is high in energy, high in fibre and sodium free. Maltabella is a warm malted porridge made from Sorghum. This breakfast offering is high in energy and fibre and available in 2 options – Original and convenient Quick Cooking. 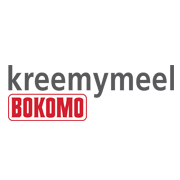 Only the highest quality oats are used when manufacturing Bokomo Oats. Available in Traditional Original, Traditional Instant and Instant flavours. 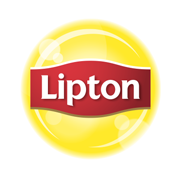 A truly international brand, Lipton Ice Tea is a leader in its category. This product is produced by Pioneer Foods by arrangement with trade proprietors, Lipton London UK. Lipton Ice Tea combines the goodness of tea with fruit flowers and water. Moir’s has been a successful South African brand for over a 100 years. Products range from desserts and bakes, to jellies and custards. The business was founded by Scotsman, John Moir, who began by making fruit-flavoured jellies. The first Moir's jelly in South Africa was produced in a factory in Woodstock just after the First World War. 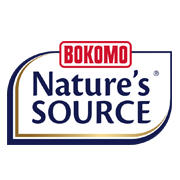 The company subsequently expanded its product offering, moving to premises in Ndabeni to accommodate increased production in 1950. 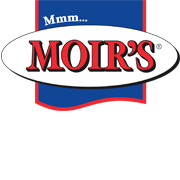 Today, Moir’s is the leading brand when it comes to jellies, custards and instant puddings - indeed a delectable tradition! 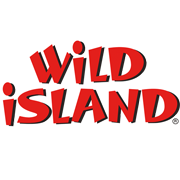 Wild Island offers value for money without compromising on quality. It is a superior tasting dairy blend suitable for all occasions. 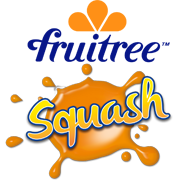 Daly’s is available in a variety of flavours and is the preferred squash brand to the mass market. Caribbean is our highly popular fruit-flavoured diary mix concentrate. 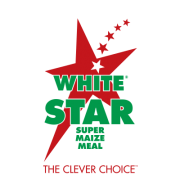 Since 1994, Werda has been producing delicious and convenient foods that South Africans love. 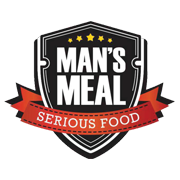 Our quick-to-prepare range of vacuum packed meals includes both traditional and exotic dishes. 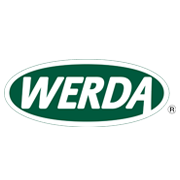 Werda products include everything from camping treats to quick snacks to salads. Smash Instant Mash is a tasty and convenient mash potato meal solution for individuals that lead a busy lifestyle. The mass appeal of Smash lies in its consistent great taste and high convenience factor. Only real potatoes are used in making the product. Smash is especially steam-cooked to trap in the natural nutrients found in real potatoes in the pure potato powder. 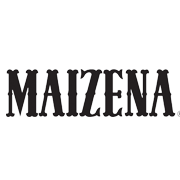 A high quality corn flour, Maizena promises perfect cooking results when making everything from cakes to omelettes. 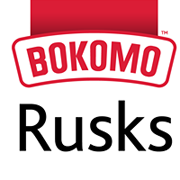 This product also creates consistency in gravies and stocks, thickens stews and sauces and ensures high quality pastry. Maizena has been part of South African culture for generations. 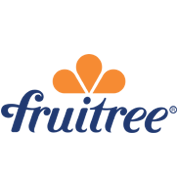 The joint venture provides an opportunity for both companies to combine expertise in the food and beverage, as well as functional foods sectors and explore categories outside of their respective traditional markets to unlock new product opportunities. Safari Dried Fruit and Nuts is a market leader in the dried fruit and nuts category. This range was established over a century ago and promises raw goodness straight from the earth. 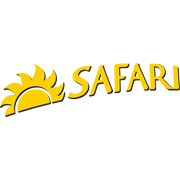 A truly healthy snack, Safari Dried Fruit and Nuts products are high in fibre, and low in fat and cholesterol. They are also high in low GI carbohydrates offering sustained energy throughout the day. 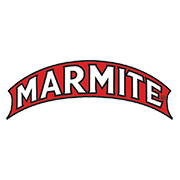 Marmite was first marketed in the United Kingdom in 1902 and is one of the world’s most popular savoury spreads. The distinctive savoury taste of Marmite appeals to everyone, from toddlers to grandparents. This concentrated yeast extract paste is 100% vegetarian and gluten free, with no added fat, salt or sugar. Marmite is an excellent source of Vitamin B12, Riboflavin, Niacin and Folic Acid (every 8,5 g serving of Marmite provides 55% of the RDA of Folic Acid) and is suitable for pregnant women. The product name may have been derived from a famous French soup, petite marmite. A “marmite” (pronounced "mar-MEET") is a French cooking pot that looks like the one pictured on the label and is shaped much like the Marmite jar itself. The H.J. 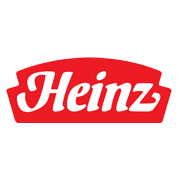 Heinz Company was founded in 1869, by entrepreneur Henry John Heinz, headquartered in Pittsburgh, Pennsylvania, is the most global of all U.S.-based food companies. Famous for our iconic brands and commitment to quality on six continents, Heinz provides delicious, nutritious and convenient foods for families in 200 countries around the world. Heinz products have been available in South African since 1996. Throughout the world, Heinz is synonymous with ketchup. We sell 650 million bottles of our iconic Heinz Tomato Ketchup every year. Other products include our world-famous baked beans in tomato sauce and our popular “Classic” soup range. Bovril has been in existence since 1870. Today, as in the rest of the world, Bovril’s hearty beefy taste is enjoyed by South African families in stews, gravies, soups, on bread and toast, and as a nutritious hot drink. It is considered an ideal option for those who are mindful of their health, as it comprises of natural ingredients, no fat, and no artificial preservatives and is low in calories. This unique savoury spread originated in Britain and is produced in Gauteng for the South African market. 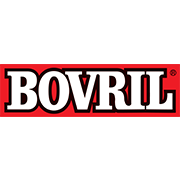 Bovril in South Africa is a combination of meat- and vegetable extract. The product is non-vegetarian and not halaal. Peck’s Anchovette was launched in South Africa in the 1960s. The aromatic spread is made from fresh anchovies, mackerel and pilchards and is the perfect snack food. The delicious spread is most often enjoyed on toasted white bread with butter. It boasts absolute quality within its product segment and has a strong nostalgic resonance with the South African consumer. 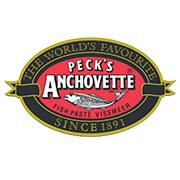 Pecks Anchovette is available worldwide. It delivers on its unique taste character by using only the finest quality filleted anchovy fish. The spread contains over 90 percent fish it is an excellent source of essential omega 3 oils. Flavours have been extended to include peri-peri, Jalapeno and smoke salmon spread. Redro fish spread was first made in the 1930’s in an effort to compete with the already popular, Peck’s Anchovette of Britain. Developed by the Stephan family from the Cape, Redro quickly became a local favourite, dominating the local savoury spread market for over three decades. 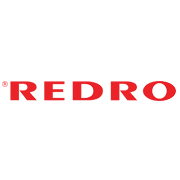 Redro is produced using only the freshest fish content. Each jar contains anchovies, mackerel, and pilchards and is high in protein and calcium. 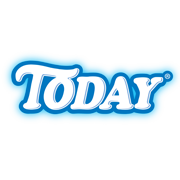 The brand positions itself as a fun snack, particularly appealing to children, but loved by the whole family. It is a value-for-money product and provides the ideal stable companion to the premium Peck’s Anchovette brand. 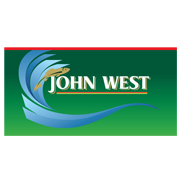 John West is the leading brand of canned fish in the U.K with a presence in Europe, Australia, New-Zealand and, since 1996, South Africa. We produce premium canned Salmon, Tuna, Sardines and shellfish like mussels and oysters. 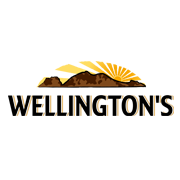 The brand was founded in 1857 in the small town of Oregon in the UK by a visionary fisherman by the name of Captain John West. He had the vision of providing people with only the finest canned fish products containing fish he caught himself. Like Captain John West, we explore and catch the finest salmon & fish from rivers and oceans across the world to ensure only the best gets is included in our products. We are committed to sustainable fishing and have put various inititiatives in place to ensure we put the the environment first in everything we do. John West is also certified as Dolphin Friendly. 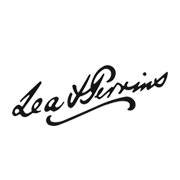 The Original Lea & Perrins Worcestershire Sauce was first created in 1837 by chemists John Wheeley Lea and William Henry Perrins form Worcester, England. The first recipe was attempted when Lord Sandys, a nobleman of the area, wished to recreate a taste he had acquired on his travels to Bengal. This attempt was not to their liking and product development was set aside. Months later, the original barrels of the sauce were discovered and. by then, the taste had mellowed. This product became the Worcestershire Sauce sold today. To ensure this mellow taste is maintained, ingredients are allowed to 'mature' for a full 18 months before being blended and bottled in the town of Worcester. Our range consists of Original Worcestershire sauce and a West Indian style hot pepper sauce. This unique and distinctive product is the UK’s No 1 brown sauce and has been used in dishes since 1903. The closely guarded original recipe was invented in 1899 by Frederick Gibson Garton, a grocer from Nottingham, England. Garton sold the recipe for £150 to settle a debt with Edwin Samson Moore, the founder of the Midlands Vinegar Company. Moore then launched what we know today as HP Sauce. 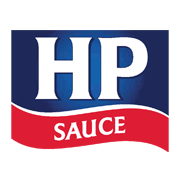 HP stands for 'Houses of Parliament' as it was rumoured the sauce was used in the restaurant there at the turn of the 20th century. Today, 28 million bottles are consumed in a year. Mama’s is one of South Africa’s most popular pie brands. It has been on the market for over a decade providing quick, easy, and affordable meal solutions. The convenient pack sizes include on-the-go eating to the original family pack. 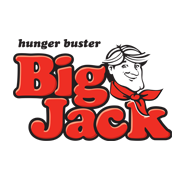 Quick and easy Big Jack heat-and-eat meals are perfect for on-the-go consumption. Available in single selling units only. These flavourful products offer larger portions than many of our other offerings. Available in single selling units only. If you take pride in the work you deliver and if you have a passion for excellence, results and quality, then Pioneer Foods is your home.